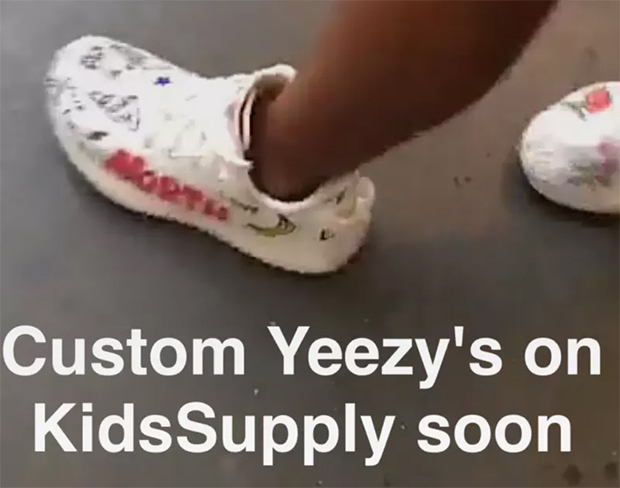 The next adidas Yeezy release may just be the most surprising yet. 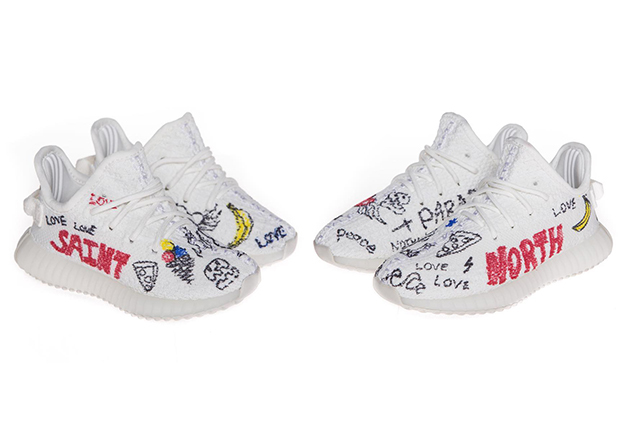 Kim Kardashian showcased and confirmed the rumor that the Yeezy Boost 350 V2 Cream White would be releasing in infant sizes in a custom take featuring North and Saint West’s names scribbled on the white Primeknit upper with a number of other doodles. The adidas Yeezy Boost 350 V2 Cream White Infant sizes will only be available via Kids Supply. According to Yeezy Mafia, that day is coming sooner rather than later with a release planned for July 17th. So far, Kids Supply only leads you to a blank website asking for a password prompt, but expect updates to come. Also featured on the customs is a Warhol banana circa the Velvet Underground, a slice of pizza, Gucci Mane-esque ice cream cones, and more. In related news, there’s also the Yeezy Boost 350 V2 Semi-Frozen Yellow planned for December 2017.